Jennell’s real estate career began with the island’s leading land surveying company in 2006. Here she acquired knowledge of the U.S. and Danish mapping systems while working closely with the land surveyors, title companies, lenders, real estate attorneys, the recorder of deeds and cadastral offices. She has fostered personal and professional relationships with individuals in these entities which guarantee an answer to any of her real estate related questions. 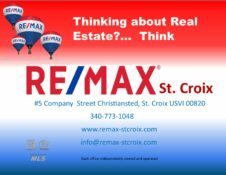 Jennell is a member of the St. Croix Board of REALTORS® and the Virgin Islands Board of REALTORS®. She earned a Bachelor of Arts, (BA), in International Management from Columbia Southern University distance learning program. She is also a member of Rotary International.